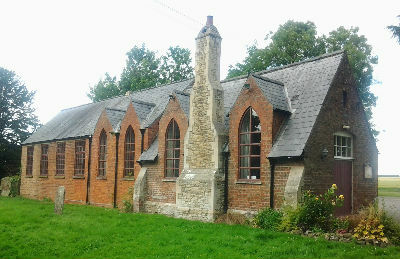 Along with the adjacent Parish Church and Parsonage buildings, Revd Wayet also commissioned architect George Butterfield to design this building, for use as a schoolhouse, at the edge of the Six House Bank site. Funding came from the sale of part of Revd Wayet's personal estate. 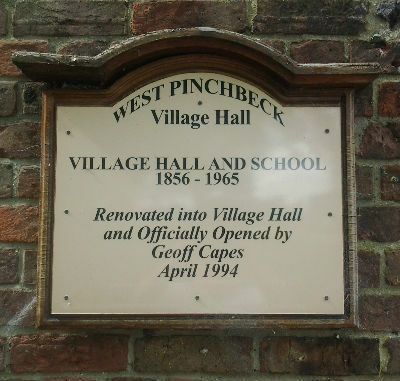 ... was in fact Revd Wayet's Assistant Curate, who became the first Vicar of the newly independent Parish of West Pinchbeck, though many others were to follow. The building functioned as the village school from 1856 to 1965. More recently, ownership of the Hall has been transferred to a Charitable Trust, which manages the facilities for the benefit of the wider Village, as a polling station and for private functions, clubs, community groups and events. The new facility was re-opened after a full refurbishment by Geoff Capes, in April 1994. Return to Historic St Bartholomew's.